In a recent article for Montreal Times, Stuart Nulman reviewed Guernica author Naim Kattan’s Farida, calling the novel “a fine introduction” to the Quebec author, who has been deemed “the literary giant most Anglophones have never heard of”. Nulman begins by introducing Kattan, who arrived in Quebec from his native Iraq in 1954 and who has written extensive works of fiction, drama, and literary criticism. Although Kattan has earned himself the Order of Canada, the National Order of Quebec, and the Legion d’Honneur of France, Nulman points out that only five of Kattan’s books have been translated into English. 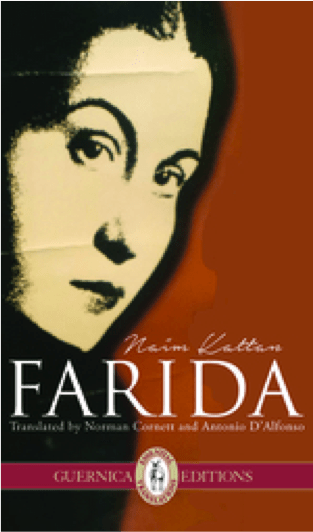 Farida is Kattan’s most recent English translation, completed by Norman Cornett and Antonio D’Alfonso. Both of these translators “have maintained the spirit of Kattan’s original French language narrative and why he is such a strong storyteller”, hopefully encouraging “more of Naim Kattan’s works to be translated into English, so that a broader audience can appreciate his storytelling artistry”. Farida centers on a young Jewish woman living in Iraq just before the outbreak of World War II. Farida becomes a singer in a local nightclub and quickly attracts the attention of Jawad, a local police chief, and Salim, a successful businessman. As the love triangle between Farida, Jawad, and Salim becomes increasingly complex, her relationships with these men reflect the political changes occurring in Iraq during World War II. Farida’s “struggle for freedom and survival as a Jew in Iraq intensifies when World War II begins…and to make matters more difficult, the Iraqi government constantly and violently shifts from moderate to fiercely anti-Semitic pro-Nazi”. Nulman praises Kattan for his “keen sense of observation of the daily life of the world around him, especially the volatile world of his native Iraq during the 1930s and 40s”, especially its portrayal of “its Jewish community, to how life is different for its men and women, to its anti-British and pro-German leanings during the war, which was typical of the attitude of many countries in the Middle East at the time”. Naïm Kattan is an award-winning novelist, short story writer and critic. His works that have been translated into English include Farewell Babylon: Coming of Age in Jewish Baghdad, The Neighbour and Other Stories, Reality and Theatre, and A.M. Klein: Poet and Prophet. Antonio D’Alfonso is the author of over 30 books, including Un vendredi du mois d’août which won the Trillium Award in 2005. His feature film Bruco won best director award and best foreign film award at the New York International Independent Film Festival in 2010, and his most recent film Antigone won the Bronze award at the Prestige Film Festival. Tagged with Antonio D'Alfonso, Farida, Naim Kattan, Norman Cornett.